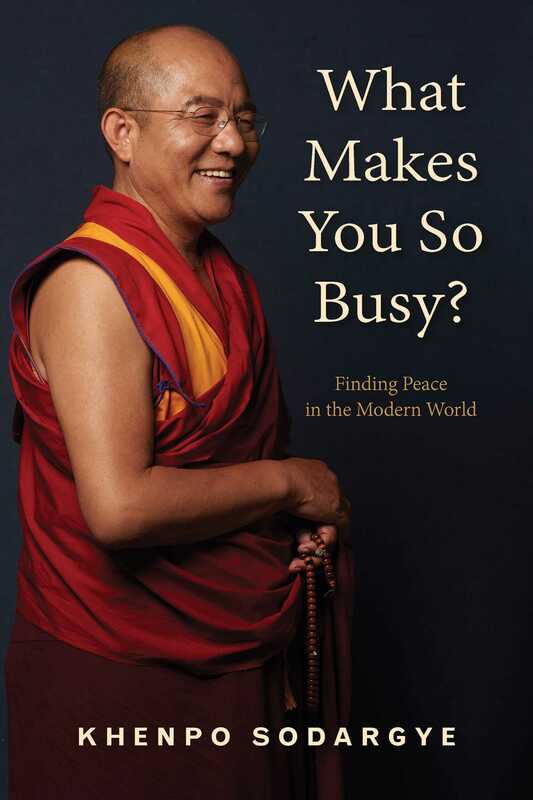 A Tibetan Buddhist lama gives advice on the issues facing people in the modern world. What is true happiness, and how do we achieve it? Bombarded with information, endlessly pursuing possessions—we look for happiness in all the wrong places. Khenpo Sodargye, one of the busiest Buddhist teachers in the world, shows us how to redirect our attention away from such distractions and instead calm our minds and find true contentment. His wide-ranging advice covers careers and conventional notions of material success, romantic relationships, and the environment. Erudite and compassionate, he points the reader to inspiration from sutras, Zen masters, Confucius, and the daily news, offering warm, heartfelt encouragement for these troubled times. Book Cover Image (jpg): What Makes You So Busy?